□ ESOTERIC TITLE: The Magus of Power. THIRTY-TWO PATHS OF WISDOM: The Twelfth Path is the Intelligence of Transparency because it is that species of Magnificence called Chazchazit, which is named the place whence issues the vision of those seeing in apparitions (That is the prophesies by seers in a vision). 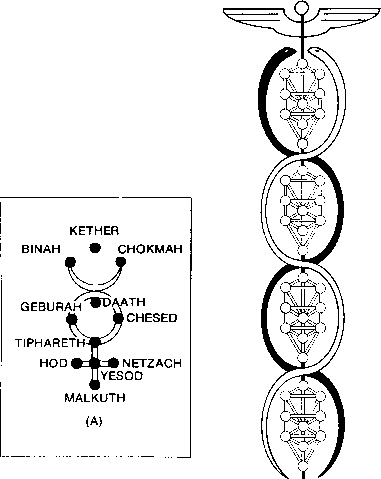 The Path of Beth is between Kether and Binah. It is the transition between the One Pure Source of All, energy undefined, and the Great Organizer, a relationship described by the meaning of the letter Beth, which is house. It is the "dwelling place" of the Spirit descending toward the denseness of manifestation. THE MAGICIAN symbolizes that which builds the house, i.e. directs and encloses the One Spirit which is symbolized by THE FOOL. In this regard it must be appreciated that to consider one card versus another at this level of the Tree of Life is very different from a comparison of cards at the lower levels. The differences between let us say, THE UNIVERSE and the Path of JUDGEMENT are substantial, if not dramatic. But the higher one works up on the Tree, the more such differences become extremely fluid and subtle. THE FOOL and THE MAGICIAN are separated by only slight degree, a fact not obvious in the anthropomorphized symbolism of the cards. Scholars dedicated to unraveling the difficult cryptograms of the Pentateuch (first five books of the Bible) are quick to point out that Beth is the first letter. The Book of Genesis begins "Bereshith," ( ¡TP WD ), commonly translated as "In the beginning," but intriguingly rendered by Fabre d'Olivet as "At first, in principle. "263 That which is symbolized by the letter Beth is the first in creation, it is the beginning of the beginning. It is the First Principle, or First Matter of the Alchemists, also called the Philosophic Mercury. But to create beginning is to create end. Thus the opposites of life and death, key polarities of creation, are attributed to the letter. The idea is implicit that without the energies of THE MAGICIAN, there would be neither life nor death, neither beginning nor end. THE MAGICIAN initiates this process, a cycle symbolized by the infinity symbol (lemniscus) as well as the serpent which holds its tail in its mouth (Uroboros). Both represent the closed circle of energy in the Universe, begun by the number one (Beth) acting upon the zero (Aleph). It is fascinating to realize that the greatest mysteries of the Cosmos are such that they are well expressed in the simplest, even most childlike of pictures and words. Indeed, the relationship between THE FOOL and THE MAGICIAN is so subtle and refined that our best hope of even approaching them rests in meditation on spiritual text combined with the images of the Tarot cards. It is impossible to speak directly of what either the texts or the cards represent. What we try to do is to establish a circle of ideas, each idea giving a suggestion about the nature of the inner truth. One such idea associated with THE MAGICIAN is that the energies of this card are at once active and passive. The mystery of THE MAGICIAN is that it is both that which transmits and that which is transmitted. It is the Life Force (The One) which becomes the Prima Materia in the act of transmission. THE MAGICIAN is a channel through which the energy of THE FOOL is organized and passes downward. 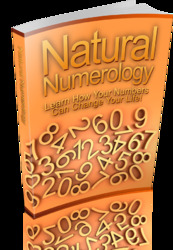 The One Life Energy is directed by THE MAGICIAN as the first step in the evolution of the Universe toward matter. Thus is the Path called the Transparent Intelligence, for like Light through a glass, energy passes through it from above. The process is especially well-represented on the Waite card, where the Magician's right arm is raised with the wand pointed downward. This suggests power brought down in a purposeful, willful, way. Moreover, Waite makes some very subtle reference to the activity of all the Supernals here. The inner color of THE MAGICIAN'S robe is white, meaning Kether. The outer robe is the red of Binah in Atziluth, andthe serpent-belt is the blue of Chokmah in Atziluth. Waite's inference is that the Prima Materia results from the interaction of all of the Supernal Sephiroth. The God of this Path, Mercury, is the "messenger of the Gods" (especially of his Father, Zeus-Kether) meaning that he is not himself the Creator, only the bearer of its will. For all practical purposes Mercury (Roman), Hermes (Greek) and Thoth (Egyptian) are the same deity, the amalgam of their qualities having become particularly firm in modern esoteric literature. Of course,since Mercury is that later of the Gods, his attributes depend on those of Hermes and Thoth. Hermes was very early associated with words, for the simple reason that a messenger must clearly state the cause of the one who sends him.267 The same meaning essentially applies to the association of words with Thoth who, as the supposed inventor of hieroglyphs, developed that by which the message could be recorded and transmiteed. The companion of Hermes, as discussed in dealing with the WHEEL OF FORTUNE, was the dog-headed Ape, the Cynocephalus, representing the words themselves, as well as the potential for misunderstanding and deceit. It is in this latter sense that Crowley has included the cynocephalus at the feet of his Magus. The relationship of the Hermes energy to words is very profound. Messages are carried by words, but it is also through words of power that the Magician affects his will. Thus is word associated with cause and effect. Words transmit ideas from person to person in the same way that THE MAGICIAN transmits the idea of Self-Creation of the One from above. A word is meant to be spoken (writing is the annotation of spoken thought); it is a sound which carries idea. It is intelligence-laden vibration. Word = vibration. So the idea of THE MAGICIAN is that it is the first vibration through which the One Spirit begins the process of manifestation. It encloses the Spirit and thus encompasses All that is. Figure 32. Two ways of representing that which is encompassed by Mercury: A. The Sephiroth on the planetary symbol; B. The Four Worlds on the Caduceus. spring from Daath (Knowledge) which is not, properly speaking, a Sephira, but rather a conjunction of Chokmah and Binah. "268 And of course, since the days of L6vi The whole Tarot has been called the Book of Thoth. 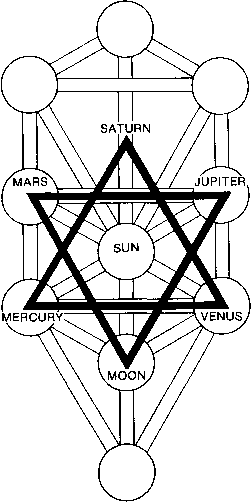 Pursuant to the idea of Mercury encompassing all Sephiroth except Kether, there is a very interesting diagram showing Mercury on the caduceus (Figure 32B). This is not at all inconsistent with the first symbol, which distinguishes between the Creator above, and Creation below. The Four Worlds here are not the Wand, they are that which is transmitted by the Wand of THE MAGICIAN. This interpretation of the caduceus and the planetary sign is not common. Astrologers and iconographers usually analyze the Mercury symbol as half-moon, circle and equal-armed cross. These symbolize the Moon, the Sun and the balance of the Four Elements. The Sun and the Moon are the dual states of the cosmos, here in their most refined expression. The Four Elements are first seen, primordially, in Kether, where they are symbolized by the swirling Gammadion or Swastica. These Elements, potential in The FOOL, are first differentiated and directed by the MAGICIAN. We have come a long way from the somewhat tentative symbolism of the Marseilles deck. In that Tarot deck, the Magician stands at a table manipulating implements germane to the performer-magician of the middle ages, whose stock-in-trade was slight of hand and pleasant deception. Yet the double-ended wand and the hat approximating the form of the infinity symbol suggest something more, as does the very title of the card, Le Bateleur, meaning the bearer of the wand. The wand is, in fact, the only attribute of a Magician which has been consistently represented from the ancient world to the present. It is that through which power flows, and by which power is directed with the force of will. It is at least interesting to see that Waite gave his Magician of 1910 the exact same wand as that of the Marseilles deck of 1500. Thus did Waite affirm the symbolic accuracy of the early instrument. Presumably, variations on THE MAGICIAN over the years, represent the contemporary state of the "Magical Art." Accepting that each version of THE MAGICIAN represents the point of view of an age toward what is called "Magic," the Crowley card is provocative. In that version THE MAGICIAN no longer merely holds the wand, he is the wand, a conceptual change of no small dimension. Crowley, thus, has accurately represented what we earlier described as the Mystery of the Magician, i.e., that it is at once that which transmits and that which is transmitted. It is the messenger and the message. There is also an important phallic symbolism in this wand of Hermes which transmits power. Even in earliest times Hermes, the messenger of the Gods, carried a staff. Originally it was decorated with white ribbons, later mistaken for serpents (because he was the "Herald of Hades") and turned into what we know today as the Caduceus of Mercury.273 This is seen on the breast of the Golden Dawn Magician. Time and Victorianism have softened the phallic implication of Hermes' wand, originally very openly represented as Herms. These were upright slabs of stone with a bust and a very large phallus curiously attached to the front of the column. So in the ancient world, Hermes was revered as a God of Creation, the aspect of THE MAGICIAN which Crowley stresses. THE MAGICIAN seems to have been a very difficult card for Lady Freida Harris to produce. Early versions show a central figure with multiple abstract arms, each holding some magical image. The quality of balance is emphasized by the caduceus which rises in the center of the figure.274 But in the final version, The Magician, though centered on an abstract caduceus form, is in a state of activity. The magicial instruments seem to float through space, as if they were in constant motion, continuous creation, something ever changing. What is tarot magician double pointed wand called?